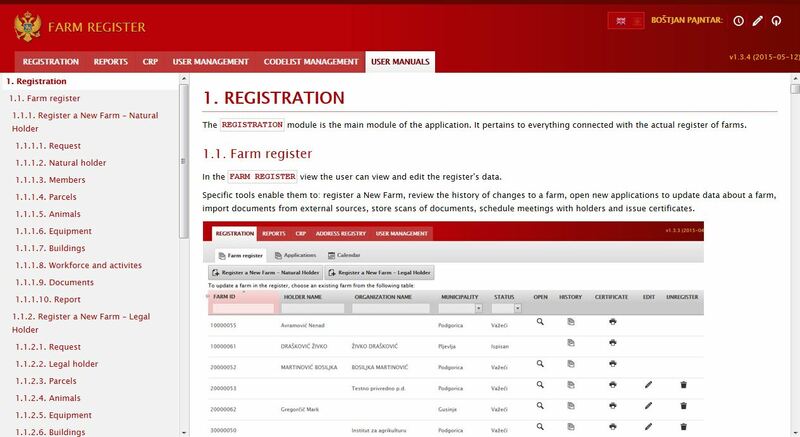 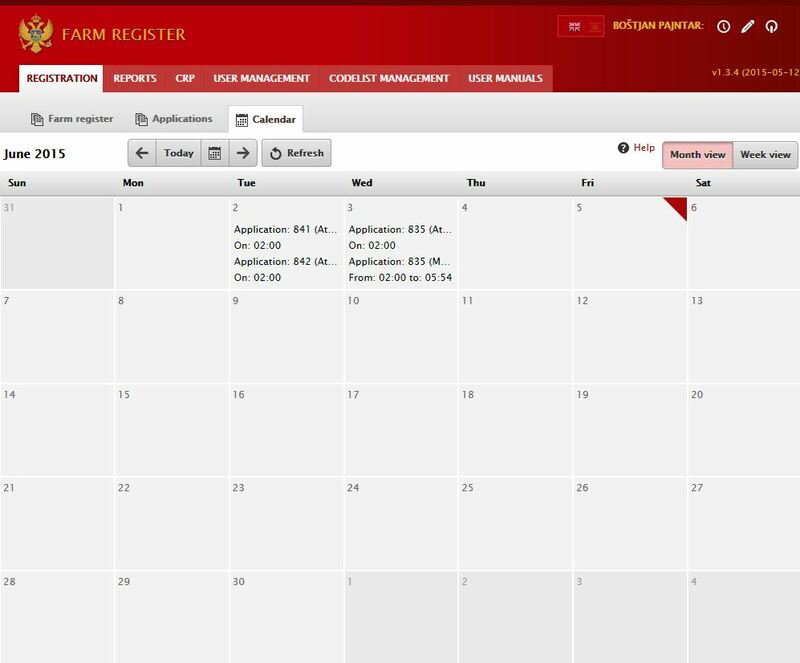 Farm Registry is a web-based application, which includes the basic data about farms and farm holders. 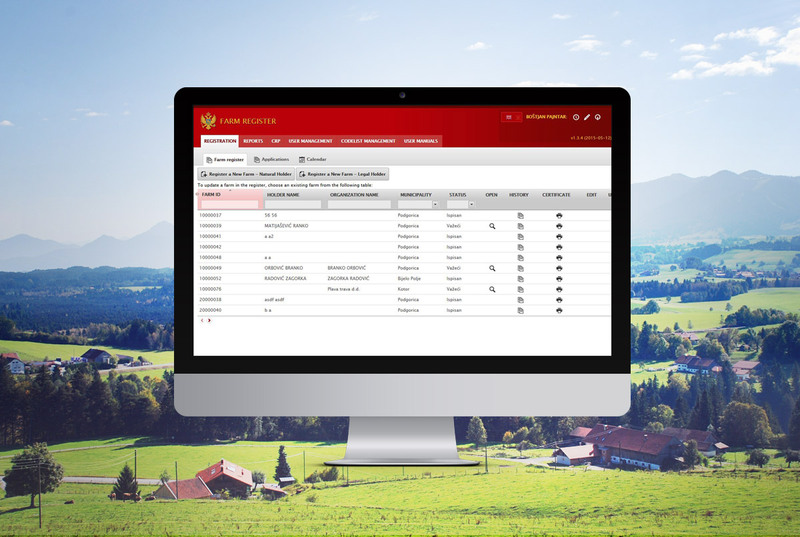 It is an umbrella application for all systems related to IACS - LPIS evidence (Land Parcel Information System), the data of Registry of common pastures, evidences of hop, olives, fruits, grapes and wine producers, etc. 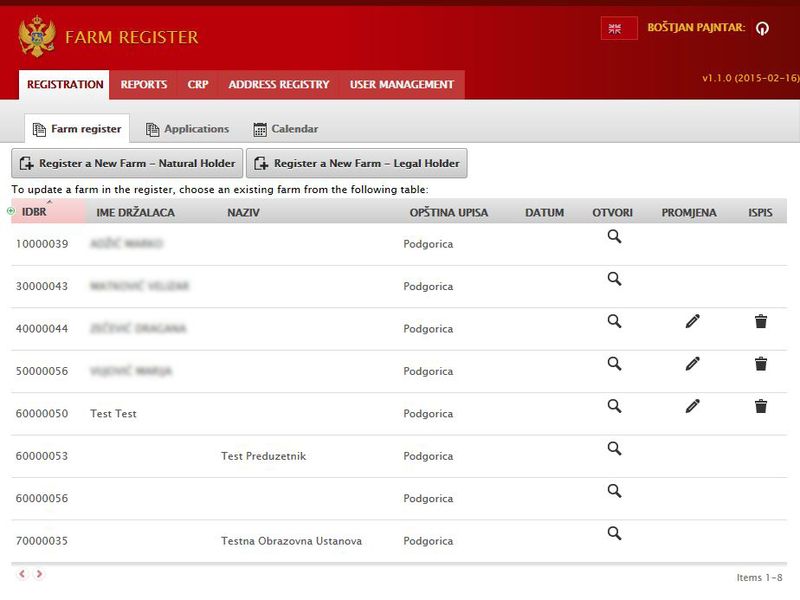 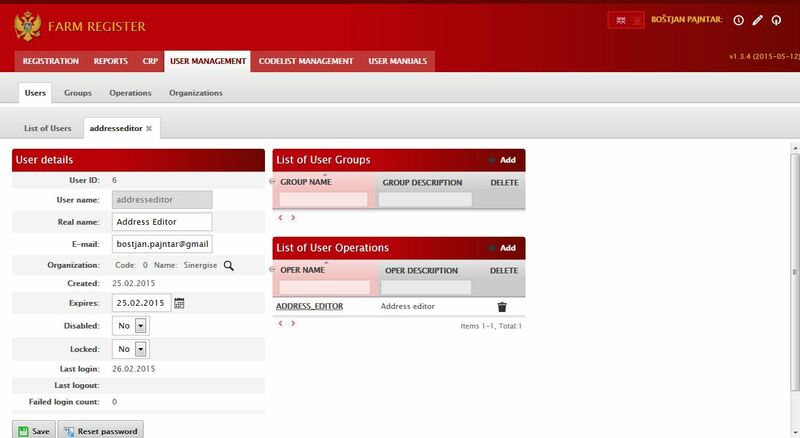 Farm Registry is maintained at local administration units and can be viewed by every farmer that is authenticated by the government certificate.